A high-profile domestic violence case involving a Silicon Valley tech executive has sparked outrage among women activists who say the alleged abuser is getting off too easy. Papiha Nandy started a petition on Change.org in the criminal case of Abhishek Gattani, former CEO of startup Cuberon. Gattani initially was charged with felony domestic violence but plea bargained with prosecutors for a lesser charge. The resulting sentence - for his second offense - would be 15 days in jail and weekend community service for five months. Sentencing originally was scheduled for Thursday but has been pushed back to June. Nandy believes Gattani's wife, engineer Neha Rastogi, like other victims, is suffering in silence,and the outcome of the case will send a message to victims everywhere. "As a woman I'm gonna stand up raise my voice, speak up," Nandy said. "There will be pressure on judge. The community is together and following this case." 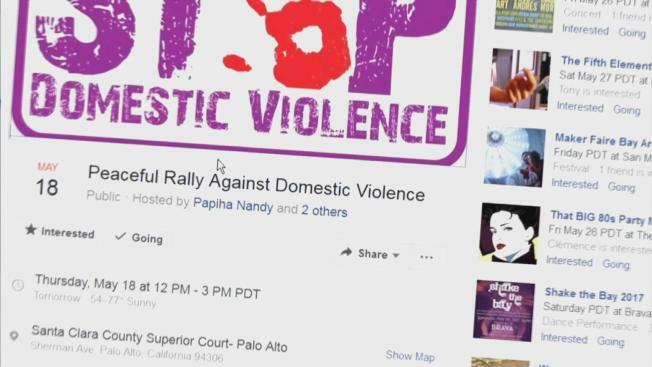 Nandy also is organizing a rally at noon Thursday outside the Santa Clara County courthouse in Palo Alto, where the sentencing will take place. She expects a large group to gather demanding justice. "I will go and stand in front of court with sign," she said. "I will ask for justice for Neha Rastogi. Somehow inside me, I'm doing it for my mother."